I hadn’t paid attention to this originally when I saw it solicited…I noticed the “title” and chalked it up as yet another soon-to-be-failed tv-tie-in of near-zero consequence, at least to me and my following the “regular” continuity of DC stuff. I’m not sure if the tv show had premiered yet or was just about to, but I had no interest in yet another digital-first thing seeing print, and thus ignored it. Then recently there was an ad for it that caught my attention, and left me curious. I was a bit put off learning the thing would be $7.99…even for a double-length issue, being frustrated with $3.99 price points, essentially $8 seemed a bit MUCH for just one issue of something I wasn’t overly familiar with. Still, I resolved to wait and see, not swearing to avoid the book but not intending absolutely to buy it, either. When it came out last week, it was a small week for me, so the $8 wasn’t terribly steep…plus the issue’s squarebound with the title on the spine, so it can actually go on a shelf like a mini tpb, and not simply disappear into a box. While I’d expected a “lead” story and the others to essentially be “backup” features…if I counted correctly, we have 4 20-page stories in this issue, giving the thing excellent “value” for the content, if one is interested in or doesn’t mind what’s included (vs. say, wishing it was Superman, Batman, Wonder Woman, Flash, or Green Lantern content). I remember checking out Firestorm: The Nuclear Men title at the launch of the New 52, and it didn’t hold me enough to stick with it past a few months. I’ve never been a huge Firestorm fan, but I’d been loosely aware of the character at points–though mostly it was after the introduction of Jason as the new Firestorm and the apparent demise of Ronnie in Identity Crisis that the character was fully on my radar; and then the Deathstorm stuff around Blackest Night. Now there’s been a fair bit on the Flash tv show and Legends of Tomorrow, so this “lead” story was a good enticement for me to buy the issue. 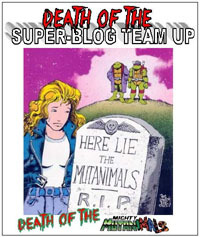 We open on Ronnie and Jason testing their powers, with something going on with them, and then the two split, and we get a glimpse into their personal lives–individually, and at school with a mutual friend. 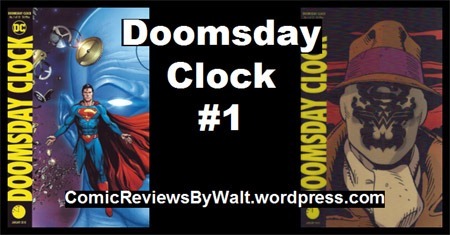 We also have the introduction of a new/old villain, and come to see that there is something up with Jason, and with the Firestorm Matrix in general, which leads to a cliffhanger promising imminent destruction. In addition to the above preamble, I think another draw to THIS take on Firestorm is that it’s written by the character’s co-creator, Gerry Conway…with the added element that I’ve attended a panel where he spoke several years ago, so there’s that quasi-personal-ish connection for me. I like that the Jason/Ronnie mix has not been scrapped, and that along with both of them we also still have Professor Stein…indicating, for my limited experience with the character, a certain mix of original/classic and newer character elements and an observance of history for the characters. 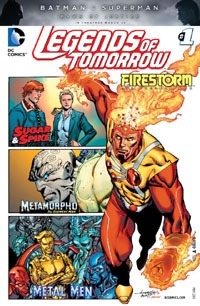 Yet, this also reads as a first issue, showing us bits of stuff with Firestorm and that it requires two people, and there’s this “matrix” thing that allows them to join AS (a) Firestorm; We’re “introduced to” Ronnie and Jason and see a bit about them–Ronnie’s into sports, Jason’s more into academics; We see a bit of “supporting cast” in Stein as well as the boys’ mutual friend; as well as a bit of rivalry between them. I’m familiar enough to simply enjoy the re-introduction/”confirmation” of stuff I figured I knew, and I’m interested in where this story goes. I’m not sure if I’ve seen Pansica‘s art before or not…but I had no real expectation going into this. I was not disappointed by the art…it’s good, and worked for the story, avoiding random weirdness that’d put me off or have me wondering at anatomy and such; and I was never left trying to figure out WHAT happened or was going on. It’s a good match for the story itself. I was planning on skipping this. I don’t much care for a watered-down version of the Vertigo/Mature Readers take on the title character, gave up on Justice League Dark early-on for not “starring” Constantine, and generally figured there’s more “history” for the New 52 Constantine than I really care to spend money playing catch-up on. But…this is a #1. New creative team (far as I’m aware), and it’s “only” $2.99. So I figured I’d check it out, give it an issue or so to show me what it’ll be…might as well for the price. We open on a naked Constantine in a store, using his abilities to “con” a fresh set of clothes out of the employee. When John’s ghost-friends cause a stir, he ultimately finds himself in the company of a female demon who he finds is arranging to have a “soul farm,” so he winds up working the situation to a fairly predictable conclusion through his usual means. Of course, that “usual” is based on my knowledge of the character from the past, from the original Hellblazer title (that was part of the initial Vertigo line and long anchored the imprint until a couple years ago) moreso than I know of the “mainstream” New 52/DC version. The art for this issue was a bit off-putting for me when I opened the issue…particularly as I wasn’t even sure the character on the first page was actually John Constantine or not. Granted, I’m not used to seeing the character in the Birthday Suit, and some of the blame probably could be placed on the writing as well, the issue opening as it did. Once things move along a few pages, the art grew on me a bit, to where I’ll accept it much as any other Constantine or Hellblazer artist. Though, with only this single issue, I cannot say I’m likely to count Rossmo among my favorite who’ve worked on the character. However, I can definitely say that I enjoyed a 10-panel double-page spread with a sideways layout…it was different, engaging, effective in conveying so much in that part of the story, and really stood out to me for not just being more of the same. The story was pretty good overall, and other than the obfuscated colorful language, this really felt like it could be a Vertigo issue. 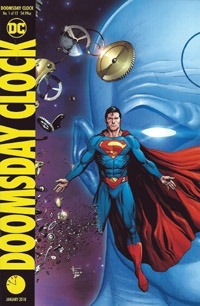 Though we do get left with a cliffhanger, and join the story “in progress” in and of itself the issue does give a “complete” story: We’re introduced to Constantine, his ghost entourage, and see a bit of his personality and nature by his actions, obvious intent, narration, and characters’ commentary. We’re introduced to a particular threat/situation, see his reaction to it, and get a resolution. Then we’re given a question that (ideally) hooks us into coming back for the next issue. Or in short: this is an effective first issue, doing what I would expect of a first issue. While a first issue is not much to go on, the fact that this issue is devoid of superheroes/superheroics (only a passing mention that they even exist) is a welcome thing. My hope with this title is that it’ll be DC‘s way to have their cake and eat it, too: a solo title featuring John Constantine, BEING John Constantine, without the superheroes’ interaction…just Constantine doing his thing in his own world of sorts. But he’s part of the “main universe,” too, and thus remains available for stories that would call for his brand of involvement. I enjoy seeing him dealing with the superhero crowd…but when I pick up a book starring him, I’m not doing so for superhero stuff. 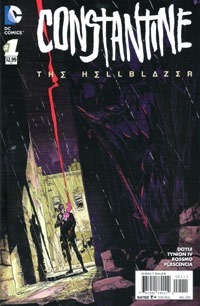 This title’s “subtitle” of The Hellblazer seems tacked-on and like some afterthought given its size and rather obviously being “just” a font rather than a focused part of the title logo. That strikes me as being a sort of appeasement, like saying “Ok, ok, we get it, y’all want a monthly comic with Hellblazer in the title!” (Granted, I understand the title Hellblazer was only ever initially used because Hellraiser was not available). As a first issue and not knowing how dark the title may go, how long it’ll last, whether it will cross over directly with and mingle with the superhero stuff…taken by itself I think this is as close as we’re gonna get to a return to the classic Hellblazer book. As a fan of that series, I do recommend giving this a shot. I suspect readers of the recently-ended Constantine will appreciate this as well. And overall–in this day and age of seemingly EVERYTHING being $3.99+, this is a $2.99 book for the moment, so I’d recommend getting this even just to “support” the price point if you’re a single-issue buyer. I’ll probably be back for the second issue and go from there. For my $2.99 this time, the issue was definitely worth the purchase and read, and my buying any more issues at all will be due to this fact, as I’d had every intention of outright ignoring anything DC put out for the foreseeable future.